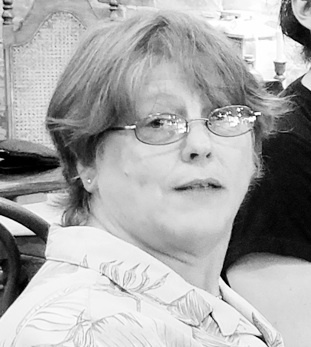 ALMA — Linda Marie Lucchesi, 58, of Alma, formerly of Houghton, passed away Tuesday, April 9, 2019. She was born June 28, 1960, in Houghton, the daughter of Paul and Geraldine (Perfetti) Lucchesi. She was a 1978 graduate of Houghton High School. In 1979, she was one of the first 100 women ever to serve in the United States Navy. She served as a chef aboard Naval Destroyer U.S.S. Sierra until her honorable discharge in October of 1983. Linda received her bachelor’s degree in religious studies from Aquinas College and earned her master’s degree in social work from Grand Valley State University. She worked as a Social Worker for 10 years and had a passion for social justice for African Americans, Native Americans and women. She later worked as a nanny for nine years, and loved caring for children. She was constantly learning through reading and podcasts. She loved movies and the outdoors, especially Lake Superior and the Upper Peninsula. Linda is survived by two brothers, Michael (Janet) Lucchesi and Mario (Michelle) Lucchesi; nephews, Christopher, Peter, Michael, Joshua, and Eli; niece, Rebeka; and a special aunt, Marlena “Midge”. Cremation has taken place with private family services to be held at a later date. In lieu of flowers, memorial contributions may be made to the charity of choice, to honor her passion for justice for African Americans, Native Americans and Women. Arrangements have been entrusted to the care of Lux-Moody-Wolfel Funeral Home, Alma. To view Linda’s obituary online or to leave a condolence for the family, please visit luxfuneralhomes.com.